This Sunday, May 6, at 8 p.m., Classical KDFC will launch “The Opera Hour,” a new opera showcase created by KDFC President Bill Lueth and co-hosted by Lueth and SFO (San Francisco Opera) General Director Matthew Shilvock. The 60 minute program will air the first Sunday of each month. It replaces broadcasts of complete SFO performances, celebrating the art form’s continuing vibrancy while reducing the station’s actual allocation of pure opera time. With something for both longtime opera fans and hoping to draw in the opera curious, in each episode, Shilvock and Lueth will share new recordings of arias, duets and ensembles they are enjoying along with some of their favorites oldies, honoring singers of the past. The hosts will also highlight opportunities to hear great singing around the Bay Area and dig into the treasure trove of archival SFO broadcasts. Additionally, Shilvock will take listeners backstage at the War Memorial Opera House and, with special guests, share opera insights. 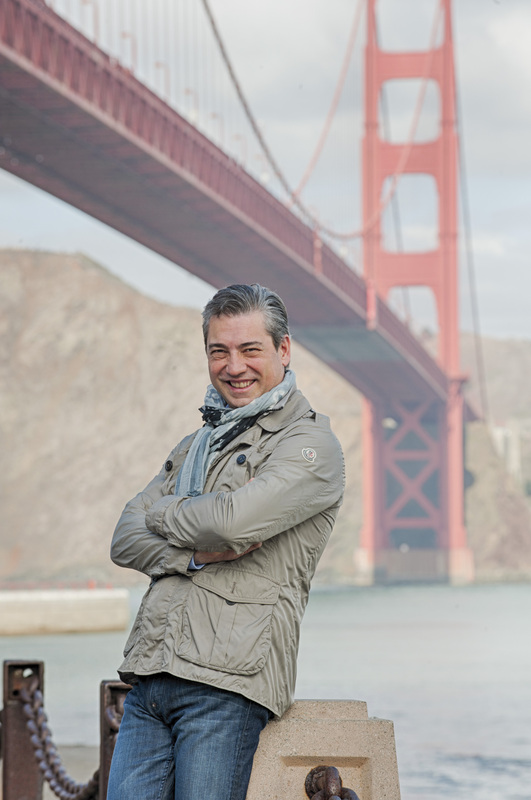 Nicola Luisotti will end his term as music director of the San Francisco Opera (SFO) when his contract expires at the end of the 2017-18 season. He delivered the news Wednesday at War Memorial Opera House before the full company of staff, musicians, chorus, dancers and crew. 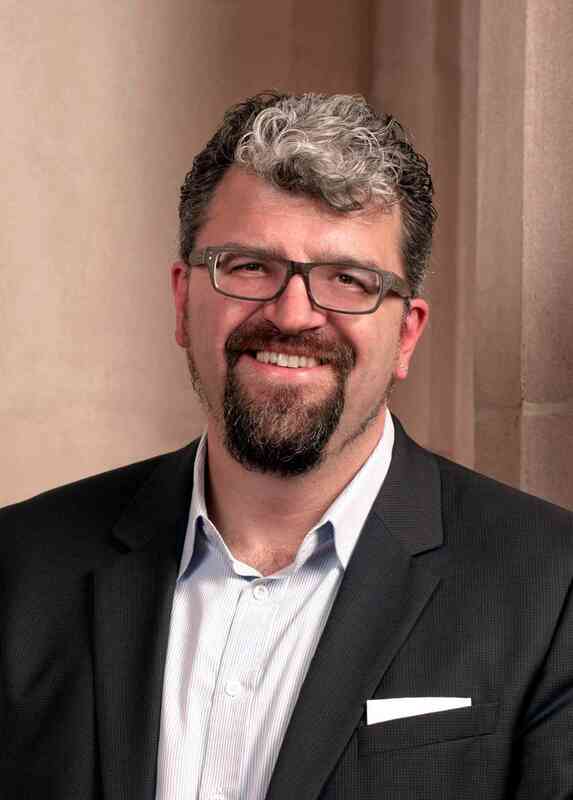 Announced by SFO General Director David Gockley as the Company’s third music director in 2007, Mr. Luisotti took the position in September 2009, replacing Donald Runnicles 17 year run. Since his Company debut in 2005 leading Verdi’s La Forza del Destino, the Tuscan-born maestro has led over 30 SFO productions and concerts to date. He is beloved by audiences world wide. I’ve nurtured a great love for San Francisco, an almost visceral appreciation. The first time I arrived here in San Francisco, I had come from Los Angeles where I had just conducted a production of Pagliacci. After staying a month in Los Angeles, I needed to spend two months in San Francisco for (Verdi’s) la Forza del Destino. I was tired, and really, I just wanted to go home to my house in Tuscany. But I think it was totally love at first sight when I saw the city of San Francisco. I was living in an apartment in Pacific Heights, practically with a bay view and one also of the Golden Gate Bridge, and thankfully because of the perfect weather, I was able to enjoy a gorgeous view from one of my very first days there. San Francisco’s Opera House revealed itself as a pure environment for music. The enthusiasm, the unity of the professionals in the house, and the love of the art form can generate extraordinary things. Therefore, I fell in love with the city, with the opera house, with the people, and everything that this place – for me, quite magical – offered. I asked myself if one day I’d ever be lucky enough to become the Musical Director of an opera house that was so special like this one. So when David Gockley [SFO’s General Director] proposed the position to me, I didn’t hesitate for a single second. My response was immediate without a doubt whatsoever. That was the place where with Rita, my wife, I was to spend the next part of my life. Shilvock, who succeeds David Gockley as general director on Aug. 1, says he was “deeply saddened” by Luisotti’s decision. Acknowledging the unique artistry of the SFO Orchestra and Chorus, Maestro Luisotti thanked them for their role in the realizing memorable productions of Luisa Miller, the world premiere of Marco Tutino’s La Ciociara (Two Women), Mefistofele, Lohengrin, Salome, Norma, the trio of Mozart-DaPonte operas, and the Verdi Requiem in a historic combined performance with the Teatro San Carlo of Naples. 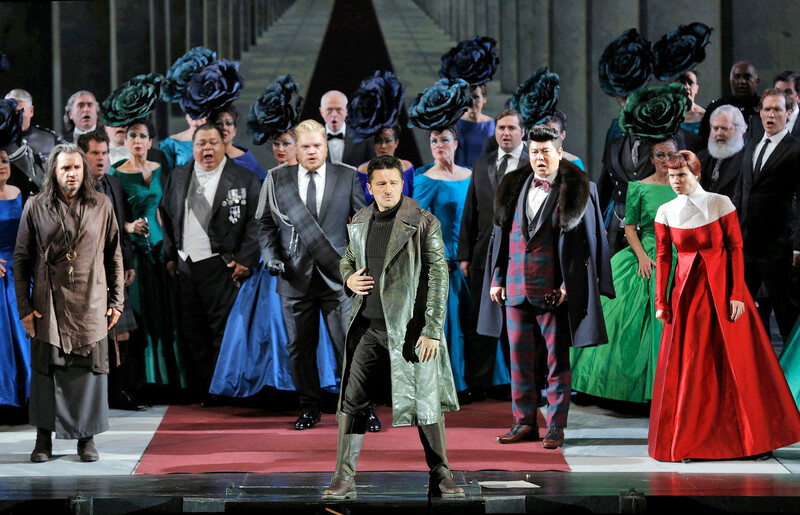 Luisotti will lead this summer’s Don Carlo followed by opening San Francisco Opera’s 94th season in September 2016 with a new Royal Opera, Covent Garden/Beijing National Centre for the Performing Arts co-production of Andrea Chénier and the annual Opera in the Park concert at Golden Gate Park. Later in the season, Luisotti will lead a new production of Aida and a revival of Rigoletto. Throughout his tenure at SFO, the maestro has always had a full plate of international appearances too. This past season, he scored great acclaim for his conducting engagements at Madrid’s Teatro Real, Milan’s Teatro alla Scala, London’s Royal Opera House and most recently in Paris for a new production of Rigoletto. The 19th Sonoma International Film Festival (SIFF) kicks off tonight at the historic Sebastiani Theatre with Norwegian director Joachim Tier’s family drama, Louder Than Bombs (2015) and a live “vertical dance performance” with members of the dynamic Bandaloop dance group performing choreographed moves from ropes on the Sebastiani’s roof. Over the next 5 nights and 4 days, the festival will present over 100 films from two dozen countries and over 200 filmmakers from around the globe will attend. Among this year’s treasures are three exciting films shot in Cuba whose stories are bound to inspire a trip to this delightful island before the big Western chain hotels devour the beach space and those beloved’57 Chevys are replaced with Toyotas. 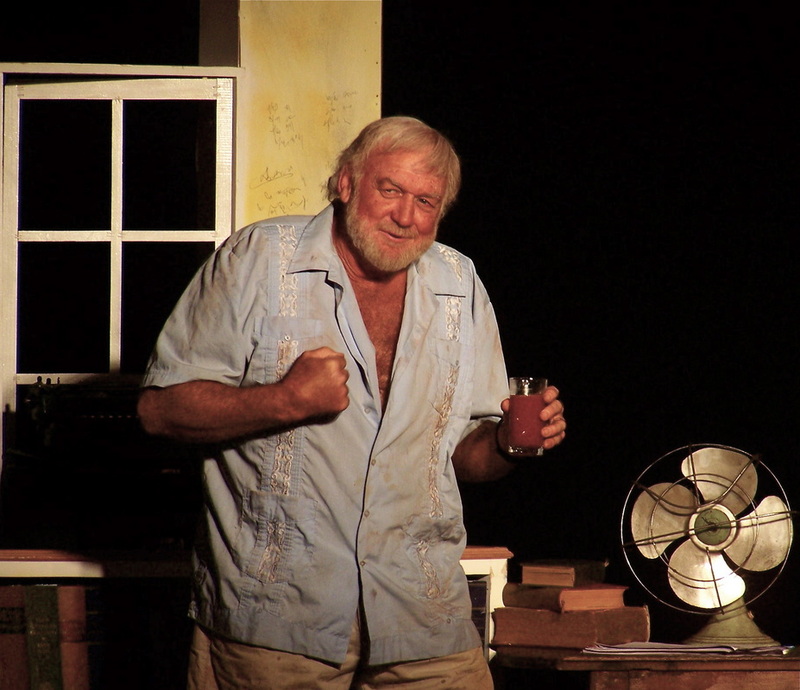 One of these is the late journalist Denne Bart Petitclerc’s remarkable Papa Hemingway in Cuba, the first American production shot in Cuba since the 1960 trade embargo. This is the story of Hemingway and his experiences in Cuba, where he lived with his fourth wife, Mary, as told through the eyes Petitclerc when he was a young reporter at the Miami Herald. And food! Complementing its diverse and truly international program of independent cinema, SIFF offers a unique blend of world-class cuisine from local artisans and exceptional wine from Sonoma vintners, making for an epicurean experience few film festivals in the world can match. 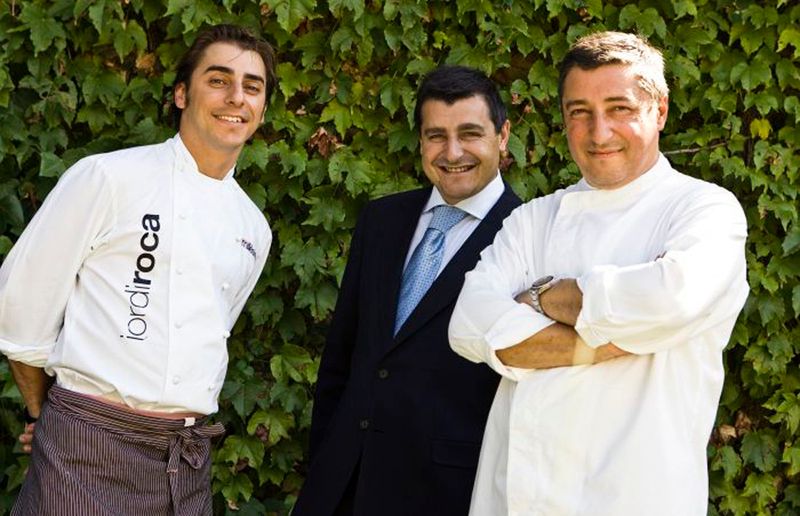 This year, SIFF is offering a complementary tasting and pairing along with its two screenings of Cooking Up a Tribute which takes us on globe-trotting road trip with the fabled Catalonian eatery El Celler de Can Roca. Browse the program and then pounce─a limited number of $15 tickets are available for pre-purchase online for all films. Details: The 19th Sonoma International Film Festival starts Wednesday, March 30 and runs through Sunday, April 2, 2016. To enjoy guaranteed access to all films, themed nightly parties in SIFF Village’s Backlot Tent, after parties, receptions, and industry events and panels, buy all inclusive passes online at sonomafilmfest.org. A limited number of $15 tickets are available for each film screening too and these will sell out rapidly, so purchase these in advance online at sonomafilmfest.org. 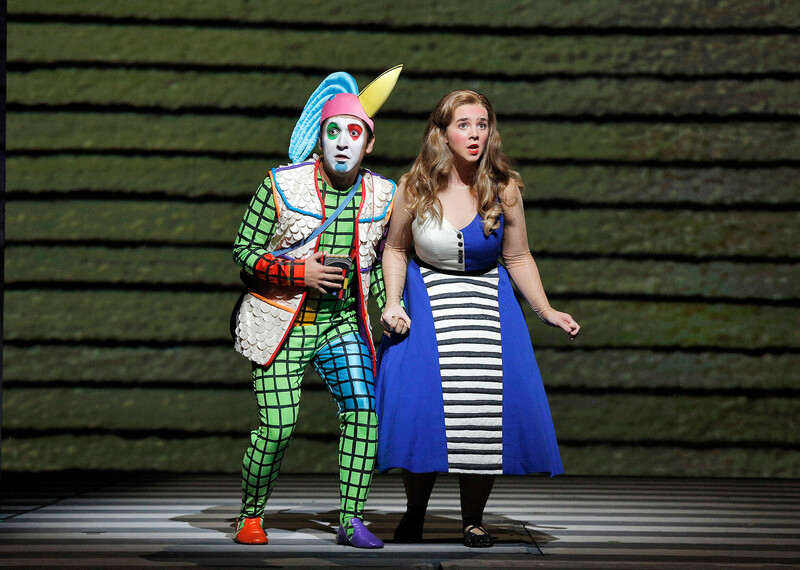 Wildly colorful costumes, constantly shifting digital projections, huge puppets, adorable bird-like creatures and kids in contraptions in the sky are a huge part of the fairy tale magic in San Francisco Opera’s sparkling revival of its 2012 co-production, The Magic Flute. And, of course, there’s the music and singing─at San Francisco Opera (SFO), Mozart’s whimsical masterpiece about the power of love and the forces of good and evil is presented in full splendor with sparkling arias, glorious ensembles, and breathtaking orchestral passages. Designed by Jun Kaneko, directed by Harry Silverstein, with David Gockley’s English translations of Schikaneder’s libretto, the beloved favorite opened on October 20 for a ten performance run. 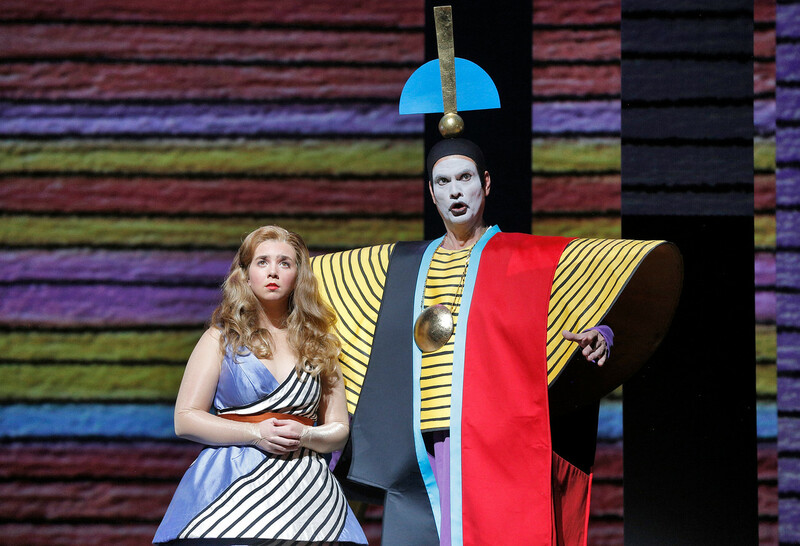 A lot happens in three years though─the novelty of those groundbreaking digital projections, based upon 3,000 of Jun Kaneko’s tempura and chalk drawings, which so mesmerized me upon my first two viewings of the opera, has begun to fade. 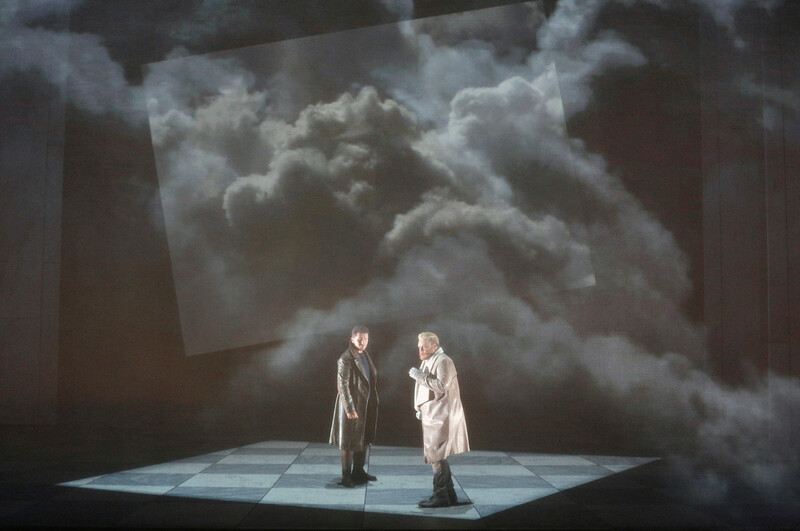 These projections, thankfully, are now commonplace in opera and have done more to revitalize staging than anything I can think of. (Read my review for the groundbreaking 2012 production here.) Having witnessed that magical innovation firsthand, I can now better appreciate the opera’s total package─singing, music, staging. This review pertains to Sunday, October 25, matinee performance. 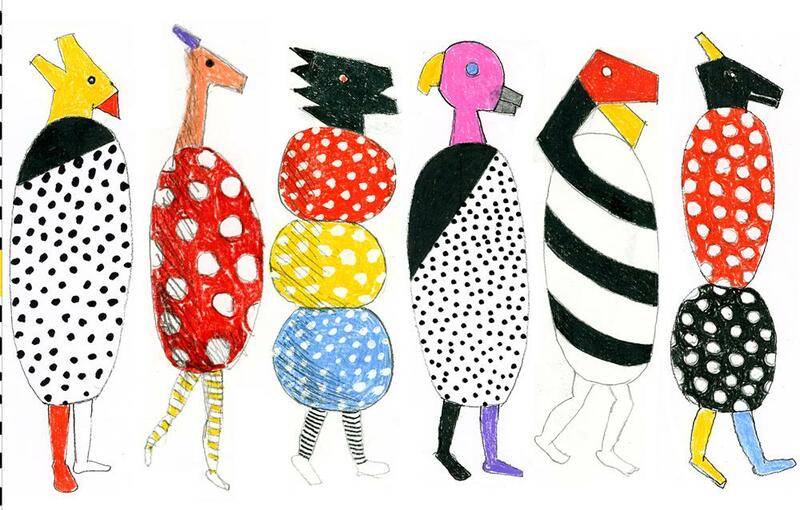 Animals, working drawing for “The Magic Flute,” 2011, colored pencil on hand-drawn digital template, 8.5” h x 11” w, courtesy Jun Kaneko. Under Lawrence Foster’s baton, Mozart’s opera with its lively arias, thrilling coloratura moments and intricate passages so well-suited to vocal harmonizing was in good hands. He makes his SFO debut with this production and will go on to conduct The Fall of the House of Usher in December. Foster, an LA native of Romanian descent, guest-conducts frequently stateside but has mainly worked in Europe. His tie to War Memorial Opera House is special: when he was just 19, he made his debut conducting the San Francisco Ballet Orchestra. Since 2013, he has been music director of l’Opéra de Marseille and l’Orchestre Philharmonique de Marseille. On Sunday, as he guided the SFO orchestra in the lush overture, I found myself growing impatient with Kaneko’s hypnotic visuals which seemed to enforce the music’s slow pace making it seem almost static. The overture itself begins quite slowly and winds through various harmonies before it builds to its rousing conclusion. We were watching a series of straight and wavy colored lines, appearing one by one, slowly build an interwoven grid and then shift through blocks of color and various patterns. It didn’t seem as fresh as it once had. At other times, when singers were on stage, these projections were an enthralling accompaniment and enforced the mood of the music wonderfully, if only they could be better synced to the music, on a micro-level. Nimble soprano Sarah Shafer as Pamina, sang her famous Act 2 aria of lament “Oh, I feel it” (“Ach ich fuehl’s”) lyrically and hauntingly. She sang Rosetta in this summer’s world premiere of SFO’s La Ciociara (Two Women), and is capable of great empathy in her singing and acting. Her wonderful chemistry with Papageno/Efraín Solís made their Act 1 duet “In men, who feel love,” (“Bei Männern, welche Liebe fühlen”) pure joy, aside from its very vernacular language. Shafer was applauded enthusiastically after each of her solos and given a standing ovation at the end of the opera. Soprano Nadine Sierra will sing the role in November. 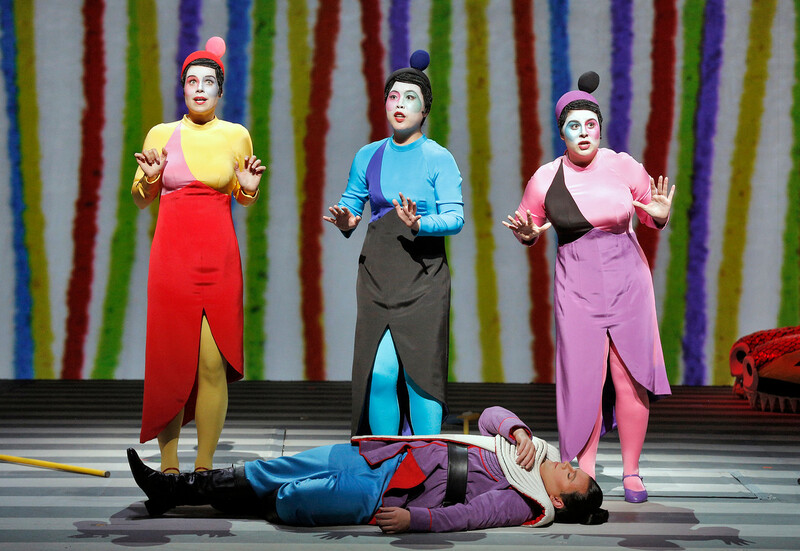 Second year Adler Fellow, tenor Efraín Solís, as Papageno, has such a warm and engaging speaking voice and a natural flair for comedy that he immediately won the hearts of the audience. He imbued his wonderful singing with so much personality that he made his zany character the opera’s focal point. And his endearing Papagena, second year Adler Fellow, soprano Maria Valdes, made the most of her brief time on stage as well. Queen of the Night, Soprano Kathryn Bowden, subbing for Russian soprano, Albina Shagimuratova, grabbed my attention in Act 1 with her first recitative and demanding aria, “Oh, Tremble not, my dear son” (“O zittre nicht, mein lieber Sohn”). The former SFO Merola participant and winner of the 2014 Metropolitan Opera National Council Auditions (Florida District sparkled in her high range as she aimed to persuade Prince Tamino to rescue her daughter Pamina from the grips of Sarastro. In Act 2, when she is enraged that Tamino and Pamina are collaborating with Sarastro, she let loose full force with the Queen’s more famous aria, “Hell’s vengenace boils in my heart” (“Der Hölle Rache”), singing powerfully, scornfully to Pamina while thrusting a knife into her hands and ordering her to kill Satastro. While she didn’t quite achieve the raging high drama that completely undoes an audience, she hit all the high notes and pulled off the exhausting passagework with great precision. 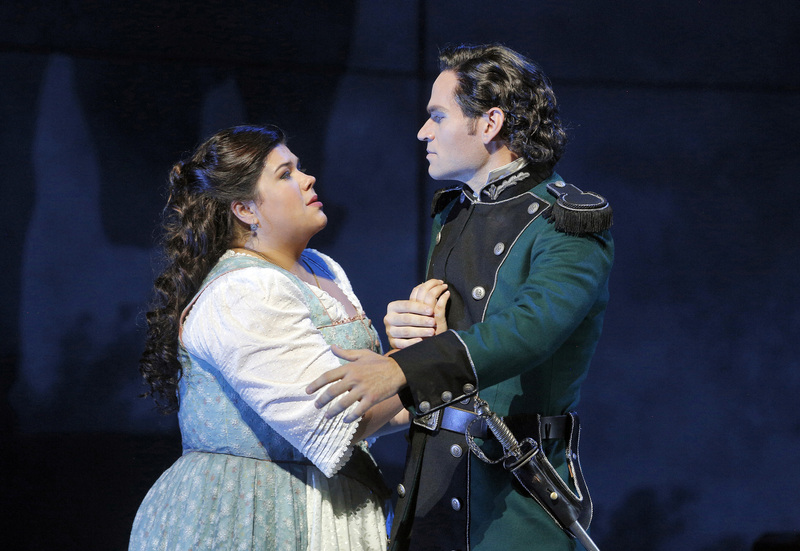 Lyric tenor Paul Appleby made his San Francisco Opera as the young Prince Tamino. His expressive voice was wonderful in his Act 1 aria “Oh heavenly and rare image” (“Dies Bildnis ist bezaubernd schön”) but his acting not as expressive. German bass-baritone Alfred Reiter, as wise High Priest Sarastro, had a very imperial manner and put his rich deep voice to great use in the lower ranges called for by his role. On the other hand, Greg Fedderly’s Monostatos looked and acted like a character straight out of The Cat in the Hat. While all the singers were special in their own way, I was drawn to two sets of triplets: the delightful Three Ladies─Jacqueline Piccolino (First Lady), Wang (Second Lady) and Zanda Švēde (Third Lady) who sang so harmoniously together, each with a wonderful voice and the adorable three young boys/guiding spirits (Michael Sacco, Pietro Juvaram Rafael Larpa-Wilson) who are sent to guide Papageno and Tamino on their adventure. The boys sang angelically with their delicate high voices while hovering above the stage in brightly colored triangular containers. The English translations by David Gockley, SFO’s General Director, with additional material by Ruth and Thomas Martin, were contemporary and very well-rhymed (when called for) but went way too far into vernacular and slangy language for my tastes. 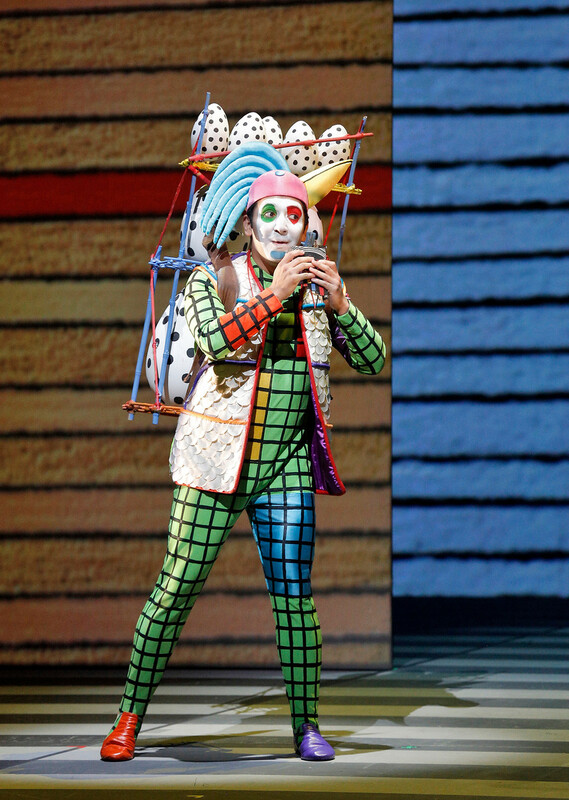 Papageno’s “ Oy vey,” in particular, got to me. 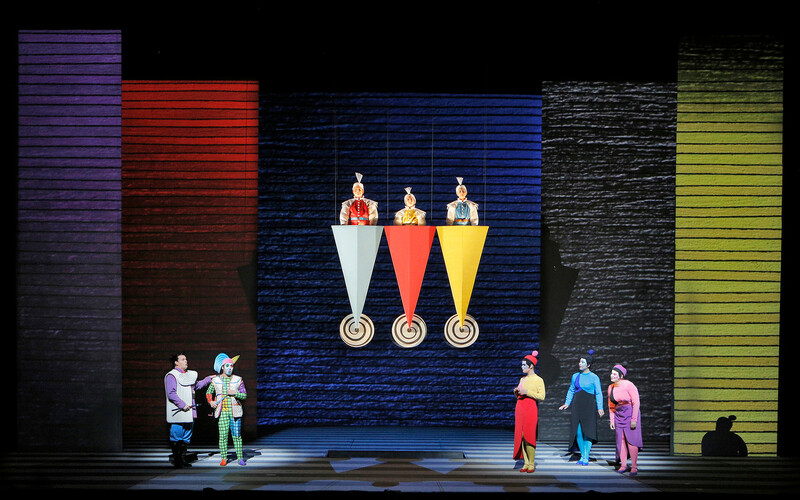 Details: There are 6 remaining performances of The Magic Flute─Wed, Nov 4, 7:30 PM; Sunday, Nov 8, 2 PM; Thurs, Nov 12, 7:30 PM; Sat, Nov 14, 7:30 PM; Tues, Nov 17, 7:30 PM; Fri, Nov 20, 7:30 PM. Tickets: $26 to $381. 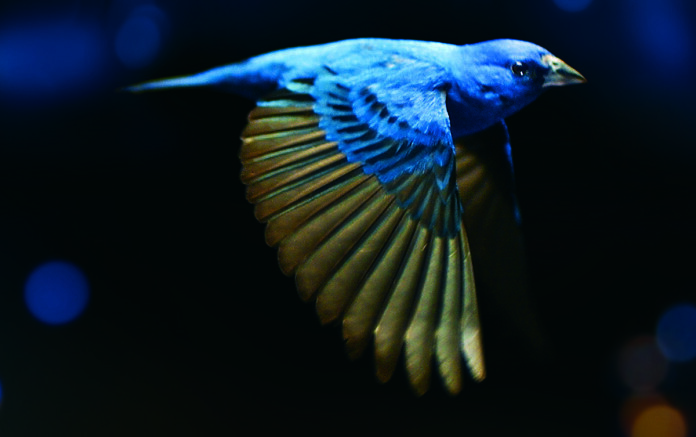 For information about SFO’s 2015-16 season, click here. War Memorial Opera House is located at 301 Van Ness Avenue, San Francisco. 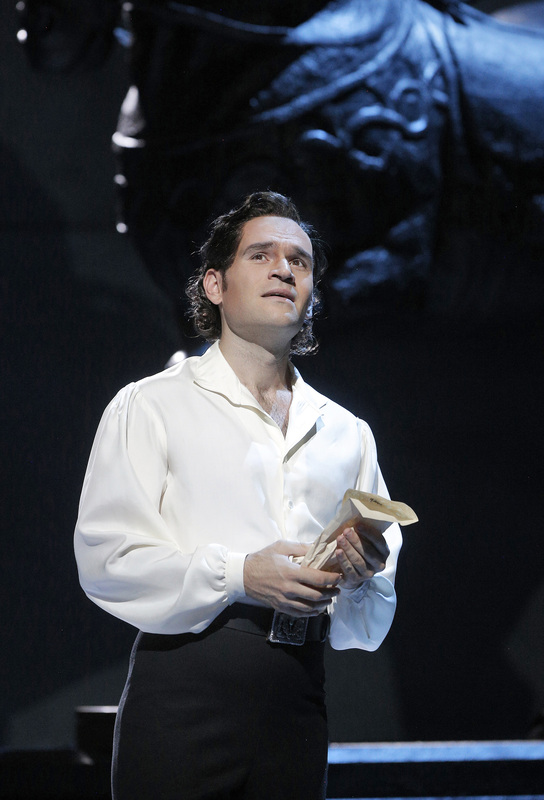 At San Francisco Opera’s (SFO) Sunday matinee performance of Verdi’s Luisa Miller, all eyes and ears were on tenor Michael Fabiano and rightly so─his Rodolfo was inspired, powerful. The tall, dashing 30 year-old embodied the aristocrat loved by two women, the son who defies his father and the unwitting pawn in a political intrigue that leads to murder. How trilling to behold a young singer nail a performance and to find yourself rising to your feet, whopping and whistling for him out of pure joy, knowing in your bones that you have just witnessed one of the great tenors in opera. Fabiano, 30, is the recipient of the 2014 Richard Tucker Award and the 2014 Beverly Sills Award, the first person in history to win both awards in one year. Sharing the glory was young soprano Leah Crocetto, in the title role, alum of the Adler and Merola programs, who sang beautifully as well. Actually it’s a match that’s been in the works for some time─ Crocetto and Fabiano sang Mimi and Rodolfo in SFO’s La Bohème in 2014 but never sang together as they were in separate casts. Each garnered great reviews. Fabiano went on to sing Rodolfo at the Metropolitan Opera House in December, garnering global attention there as well as at La Scala and the Glyndebourne Festival. It was thus no surprise to see a few people in the audience on Sunday who had attended the gala season-opening performance and were back for a final dose of this rare, luscious singing. The 1849 opera, Verdi’s 15th, is based on Schiller’s play “Kabale and Liebe.” The plot is insanely unrealistic─Luisa Miller, a commoner, is in love with Carlo, who is really Rodolfo, the son of the local Count, Walter. Luisa’s protective father distrusts Carlo and schemes behind her back to have her marry Wurm, who works for the Count. When Wurm (whose name translates appropriately as “Worm”) tells the count that his son is in love with a commoner, the Count orders Rodolfo to marry the recently widowed duchess, Federica who is in the good graces of the Imperial Court. The rest of the opera revolves around political intrigue, deception and heartbreak and culminates in multiple deaths─Wurm by gunshot and Rodolfo and Luisa by poisoning, just after the truth of their abiding love is revealed, but too late as the poison has been drunk. Soprano Leah Crocetto sang beautifully, consistently hitting the notes this demanding role calls for while evoking the emotional roller coaster that innocent young Luisa is subject to. She soared in her Act II, aria “Te puniscimi, O Signore” which was pulsing with feeling as she expressed being torn between her love for Rodolfo and her father. And right after Fabiano brought down the house with his exquisite Act II aria, “Quando le Sere al Placido,” it was as if she too got a boost from the fumes and came out singing with renewed fire. Russian mezzo soprano Ekaterina Semenchuk has an intrinsically lush, full voice and her SF Opera debut as the widowed duchess, Federica, was enchanting. It was particularly amusing when she made her entrance drawn in on an enormous horse statue replete with its clunky pedestal, as if it had been dragged there from a European park. To dismount she had to be lifted down by another cast member. Her singing was nimble and spot-on, from her Act I aria, “Duchessa Duchessa tu m’appelli,” and duet, “Dall aule raggianti di vano,” with Rodolfo to her Act II recitatives. 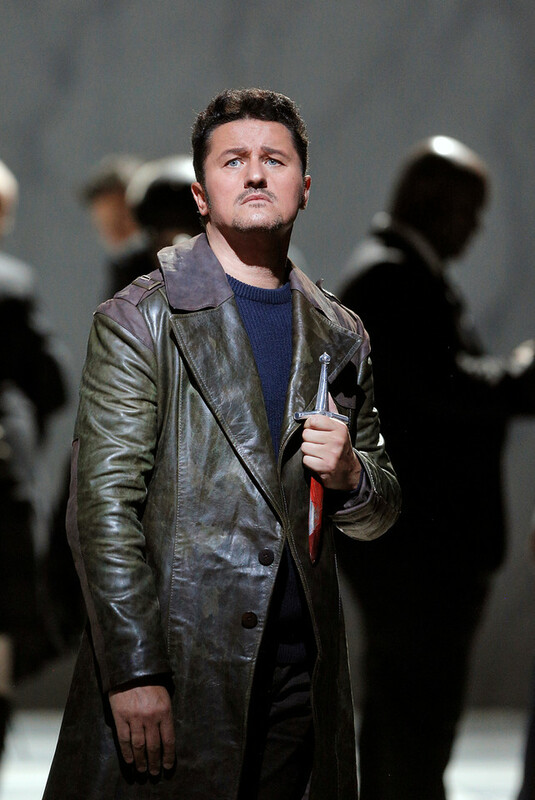 Baritone Vitaliy Bilyy as Miller, who has also sung the role at Milan’s La Scala, made his SFO debut and was impressive. Bass baritone Daniel Sumegi sang Count Walter and imbued him with an appropriately dark character. The great irony of the opera is that the Count, who conspires to entrap Luisa and her father, ultimately ensnares his own beloved son. 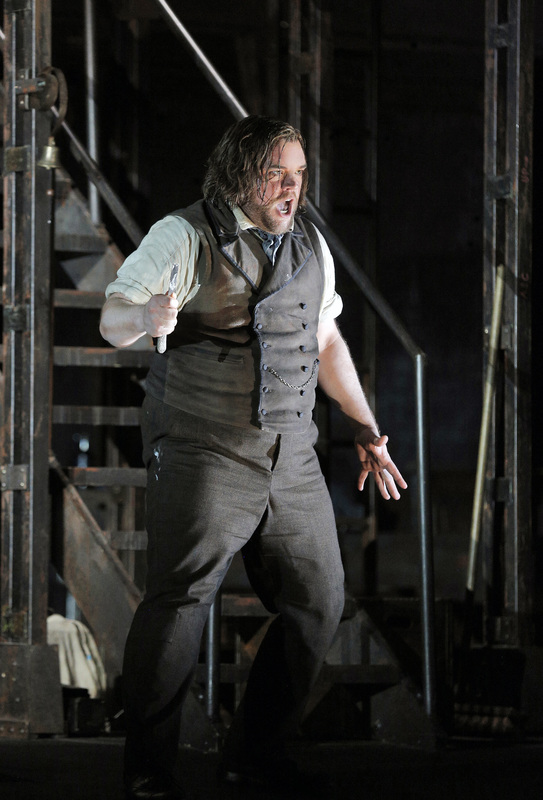 Bass Andrea Silvestrelli sang wonderfully but could have imbued his bland Wurm with even more despicability. Second year Adler Fellow, soprano Jacqueline Piccolino was impressive as the village girl Laura, whose Act I “Tidesta, Luisa” (sung with the chorus) immediately caught our attention. Her Act III “O Dolce Amica, E Ristorar Non Vuoi,” sung with Lusia and the chorus, again made an impression. When SFO Music Director, Nicola Luisotti, comes to the podium, and it’s Verdi, one always has the sense that great things are in the pipeline. It’s amazing how time flies too. 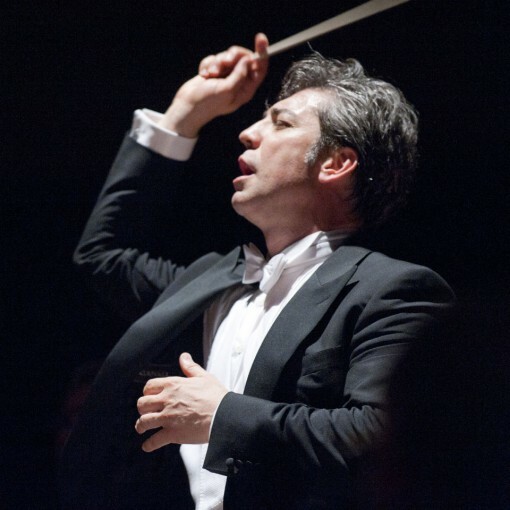 He made his SFO debut in 2005, conducting “La Forza del Destino,” and has been director since 2009. He started the overture at a healthy clip, as he is prone to do, but, throughout the afternoon, brought the delicacy out in the scoring as well the drama, passion, and color that Verdi infused this score with. The clarinet solo in the overture and horns calls further enlivened the music. The SFO chorus sang masterfully throughout, starting out as a chorus of simple country folk singing repeating melodies that were expressive and catchy. The production, a 2000 revival by Francesca Zambello, which I had not seen before, intrigued me, particularly Michael Yeargan’s gorgeous sets. They included a painted surround backdrop of a dense forest which changed colors, and several very large paintings─ a rustic farmhouse for Miller’s house, an elegant tapestry featuring a hunting scene with leaping hounds for Walter’s castle and, for Act II, a gray honeycomb pattern evoking metal mesh─all suspended from a distracting metal arm that hung over the stage for the duration of the opera. Dunya Ramicova’s costumes were predictable─the villagers wore peasant costumes; the nobles were elegant in fitted red velvet coats and dresses for the hunt; Rodolfo and Wurm were fitted in green and the count wore an elegant black coat with a white ruffled shirt. The fitted waists and abundance of fabric in the skirts of Crocetto’s and Semenchuk’s period gowns did nothing to flatter their rounder figures. Details: There are no remaining performances of Luisa Miller. 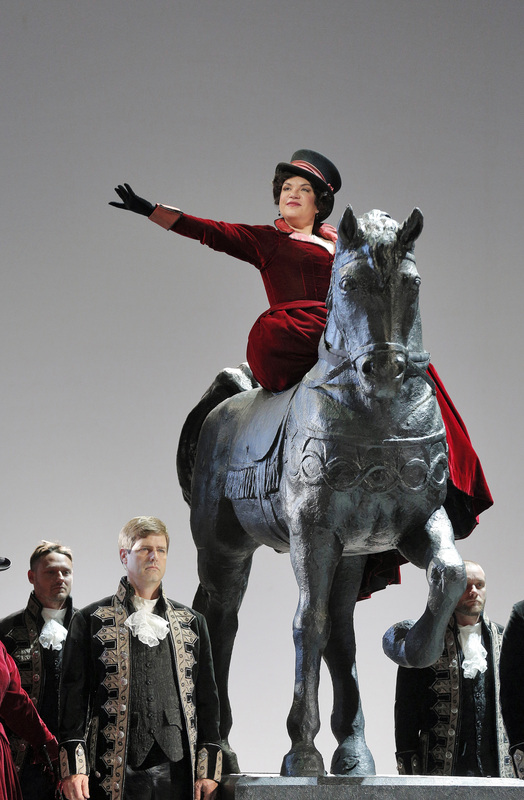 For information about the SFO’s 2015-16 season, for which you can still catch all but Luisa Miller, click here. War Memorial Opera House is located at 301 Van Ness Avenue, San Francisco. 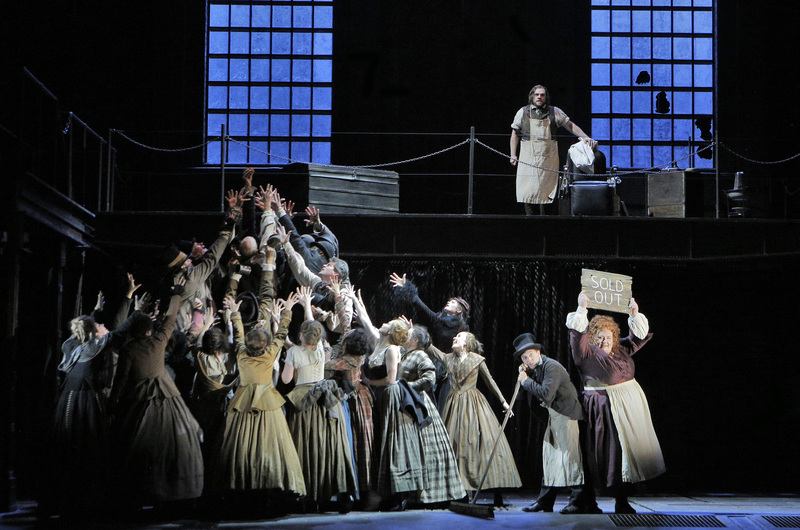 San Francisco Opera’s new production of Sondheim’s “Sweeney Todd”—not so scary, but bloody grand it is! There’s nothing more satisfying than an occasional slice of pie! 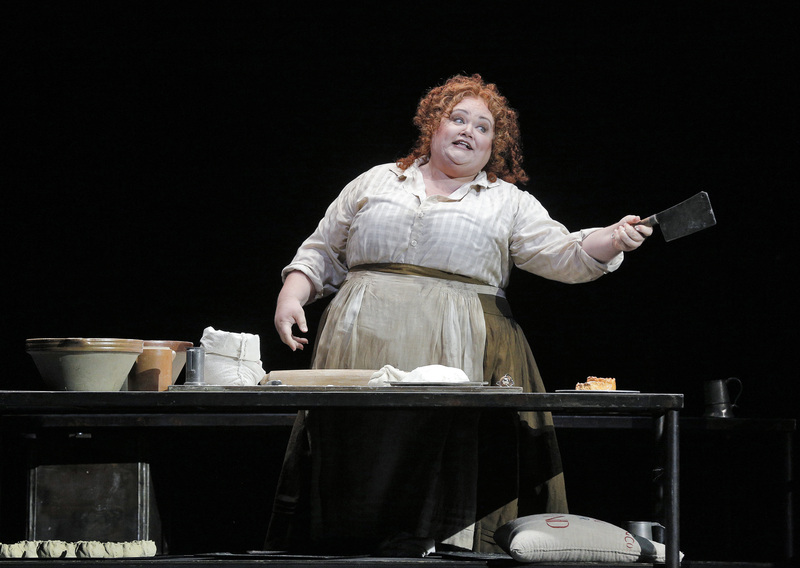 And San Francisco Opera’s (SFO) production of Stephen Sondheim’s musical Sweeney Todd, offers just that─delectable meat pies with a killer secret ingredient served up in an exhilarating musical. 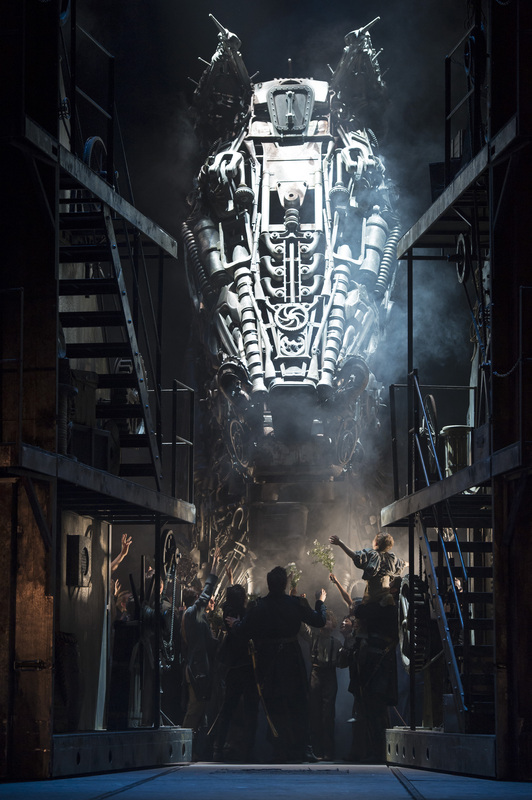 A co-production with Houston Grand Opera and the Paris Thèâtre du Châtelet, this Lee Blakeley production premiered in Paris in 2011, and garnered raves at the Houston Grand Opera in April 2015. It features Sondheim’s original score for the lyric stage and boasts unforgettable tunes. At the War Memorial Opera House, with a stand-out cast of singers who can also act, it has definitely found its groove. The SFO orchestra and chorus are magical under guest conductor Patrick Summers. Simon Berry’s powerful organ solos, which fill the opera house, punctuate the drama. Wonderfully harmonic singing accompanies the throat slitting and a spare-no-expense big staging, designed by Tania McCallin transports the audience back to bleak 1860’s backstreet London. In all, it’s a fitting coup for SFO’s Music Director David Gockley, who is retiring and is now in his final season. Gockley has championed musical theater in the opera house to help build a wider audience base. 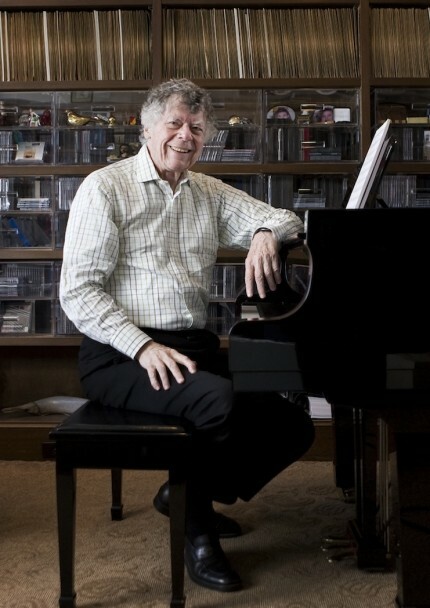 During his tenure at Houston Grand Opera in the 1980’s, it was he who mounted a groundbreaking production of Sweeney Todd, establishing HGO as the first opera company to stage the 1979 musical, originally directed for Broadway by Harold Prince and starring Angela Lansberry and Len Cariou. By the looks and gleeful ovations of the audience at last Sunday’s performance, which included more in their teens and twenties than I have ever seen before, Gockley’s making headway at building that wider base. The story: In London there once lived a barber named Benjamin Barker (baritone Brian Mulligan) and his sweet young wife and child and he loved them with all he had. But the licentious Judge Turpin (Wayne Tiggs) had Barker exiled to Australia on trumped up charges, meanwhile holding his wife and daughter, Johanna, captive. Turpin ravishes the wife, ruining her life, and the traumatized young Johanna grows up as his ward and house prisoner. The wronged barber, going by the name of Sweeney Todd returns to London to exact revenge and teams up with an ambitious pie maker, with a few secrets of her own, who has high hopes that the barber will become her next husband. At last Sunday’s matinee, there were three clear standouts —baritone Brian Mulligan in the title role; mezzo soprano Stephanie Blythe as his pie baking accomplice, Mrs. Lovett, and baritone Elliot Madore as the young sailor, Anthony Hope. From the moment he takes the stage, American baritone Brian Mulligan, commands full attention. Mulligan who sang the title role in SFO’s Nixon in China (2012) and, most recently, Chorèbe in Les Troyens (summer 2105), really channeled his dramatic flare, pulling off a dynamic performance with his rich vocals and acting. Mulligan looks and a lot like School of Rock’s sensational Jack Black, so much so, that, at times, I half expected to see him amplifying his heartbreak with an electric guitar. 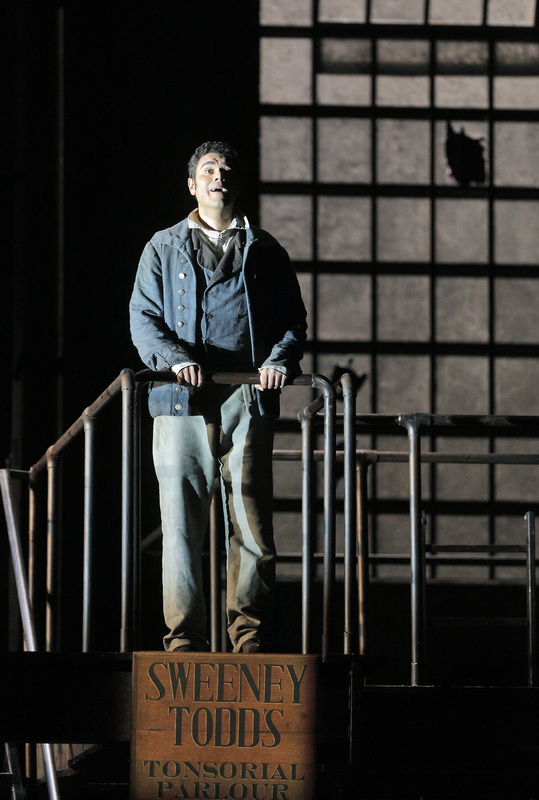 As the performance begins, Sweeney has just sailed into London with young Anthony Hope, Canadian baritone Elliot Madore, the winner of the Metropolitan Opera National Council auditions in his SFO debut. The duo’s energetic opener, “No Place Like London,” showcased the strength and lyricism of their blended voices, while Mulligan’s “The Barber and his Wife” conveyed sensitivity and heartbreak. Later in the Act I, Mulligan’s chilling duo with Stephanie Blythe, “My Friends” referring to his razors, was powerfully macabre. Madore, in his SFO debut, sung so tenderly throughout the afternoon that I too swooned, from he began wooing young Johanna away from her troubles with his exquisite “Johanna” to his ACTII reprise of that enchanting song and wonderful duos along the way. Mezzo Stephanie Blythe is always an amazing stage presence but she outdid herself as shopkeeper Mrs. Lovett, a role that showcased her natural comedic genius and irrepressible bombast. She won hearts in “The Worse Pies in London” and continued to deliver full force delight in her Act I duo with Mulligan, “A Little Priest,” an outlandishly hilarious culinary appraisal of humans as pie ingredients. Act II’s duos “By the Sea” with Mulligan and “Not While I’m Around” with Tobias (Mathew Griggs) were exquisite. It was hard to believe that this is Blythe’s debut in this role; she’s set the bar high at SFO for future singers in this role. There are also star turns by Heidi Stober as Johanna; Elizabeth Futral as Beggar Woman; AJ Glueckert as Beadle Bamford, Wayne Tigges as Judge Turpin; Matthew Grills as Tobias Ragg and David Curry as Adolfo Pirelli. Stephanie Blythe at the Fairmont Hotel’s Venetian Room October 4: Blythe will perform her heart-warming cabaret show “We’ll Meet Again: The Songs of Kate Smith,” about the great First Lady of Radio, Kate Smith, on October 4th, 2015. For information and tickets ($70 or $100), click here. Sweeney Todd Details: There are 2 remaining performances of Sweeney Todd─Saturday, Sept. 26, 7:30 PM and Tuesday, Sept. 29, at 7:30 PM. Both will be conducted by James Lowe. Click here for tickets ($31 to $395) or phone the Box Office at (415) 864-3330. War Memorial Opera House is located at 301 Van Ness Avenue, San Francisco. While it’s sung in English, every performance of Sweeney Todd features English supertitles projected above the stage, visible from every seat. For information about the SFO’s 2015-16 season, for which you can still catch all performances, click here. What’s so special about this giant horse that has travelled here from Europe. Daniel Knapp: It’s magnificent—7 meters (approximately 23 feet) tall and is not only a sculpture that is scenic art but it’s also a puppet to a certain extent. It’s constructed of steel and fiberglass and doesn’t weigh too much because it’s mainly fiberglass. It has a gaf piston in it which allows for the rocking of the head and basic movements and that’s very exciting. When it’s first introduced, you get the impression that it’s very tall, frightening. You only see the upper part of the head and wonder where’s it coming from and what does the whole thing look like and is it really a horse? There are 2 carpenters and 3 acrobats inside, moving and manipulating the horse and they’ve been here practicing since the rehearsal period began. Who gets credit for artistic design of the horse? Daniel Knapp: It’s Es Devlin, a British designer who’s involved with all the top rock and roll shows—U2 tour, Take That tours, Miley Cyrus—and with opera and theatre. She designed the closing ceremony for the 2012 London Olympic Games. She runs an office with a multitude of assistants and she has just opened an office in Brazil. The conception for the horse came from the workshops of the Royal Opera House and she worked with them to refine it, from the model to the life-scale sculpture we call “Patches” because it’s patched together. Has Devlin created any other animals that we might recognize? This version of Troyens is set, more or less, at the time of its composition, in the 1850s, Second Empire France. How did that influence the actual conception for the horse that looks like a machine horse? Daniel Knapp: Everything that you will see that is part of the horse could have been made at that time or could predate that time. The horse is pieced together from what appear to be rifles, screwdrivers, all sorts of tools and scrap materials like keys…it’s actually mostly fiberglass, a piecemeal puzzle that once put together appears as this great horse. Carbon footprint aside, what’s entailed in getting something of this magnitude to San Francisco? And then assembling it? Daniel Knapp: We always use steam ship companies because air is too expensive. It was shipped in 16 containers (40 foot high cube containers). Your entire household could fit in 1 of these containers, or, if you’ve got an extensive household you might need 1.5 containers. It all arrived in pieces in a very organized matchbox system. A team form the Royal Opera House came over to help with the assembly because they are the originators. Actually, our staff went to La Scala last year and watched this process and got a feel for what it takes to put on this production. With this run, we did all of that assembly in 3.5 days; in Milan, they weren’t as quick as we were. We didn’t have the time or money to allow for more time to do it. How many scenes does Patches appear in? 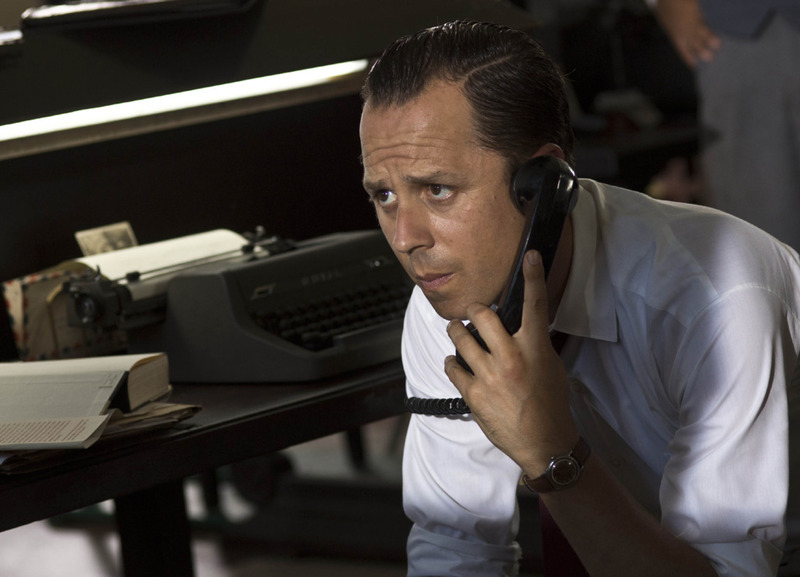 Daniel Knapp: He appears in a multitude of scenes but I’m not going to give away any of the excitement. He’s on stage for a fair while and, when he’s not hiding in the back, sometimes he’s looming in the background and sometimes he’s hidden by a blackout curtain. How mobile is the horse and how does it move around the stage? I heard this entails acrobats and carpenters. Daniel Knapp: Yes, that’s exactly what it takes. We have few carpenters and acrobats around and in it, moving it. It’s on wheels, on a huge A stand. If you think of a child’s swing on the playground and think of it for giants, that’s what the internal structure of the horse is. It moves around on wheels that are on tracks just like a train. The tracks are a part of the original design and actually travel with the production. We had to cover our stage floor with another floor and that entailed adding about 1 inch to our stage to ensure that the weight is distributed evenly so that we don’t damage our rather old stage floor. We also had to re-enforce some of the stage structure underneath to make sure that we don’t suddenly fall in the basement. The horse might be relatively light but the trappings—the drum trucks, the big scenery elements for Troy and Carthage—all together, those weigh 32 tons. Anything tricky about coordinating the movement of the horse to the music and the singers? Do any of the lead singers have any direct interaction with the horse? Daniel Knapp: As we know from the Trojan story, the horse is sort of a separate entity. The lead singers certainly react to it but they don’t interact with it directly. The horse’s movement on stage is cued like everything else—people execute what they have rehearsed and there’s nothing complicated about that. These are professionals who are used to working to cues from the stage manager, such as “horse go upstage.” We do this in rehearsal and there’s always a review afterwards to make sure that we have hit our marks. Sometimes, the director might want to change the speed but it’s not complicated. There’s one boss and that’s the director but on stage, it’s the stage manager who calls out when and where. This is a fiery horse—how is the fire created and will there be accompanying liquid nitrogen and steam, like in the Ring? Daniel Knapp: The horse itself doesn’t breathe fire but its mane burns, which is a very impressive sight. In the original version, in London, they had the horse smoke but due to restrictions over here, the director distanced himself from that when he did the revival in Milan. That’s what I said about cooking the meal for the third or fourth time, you’ve left out the ginger but added something else. Over here, steam and liquid nitrogen are our only possibilities to create atmosphere due to the CVA restrictions we work under as collaborating artists. 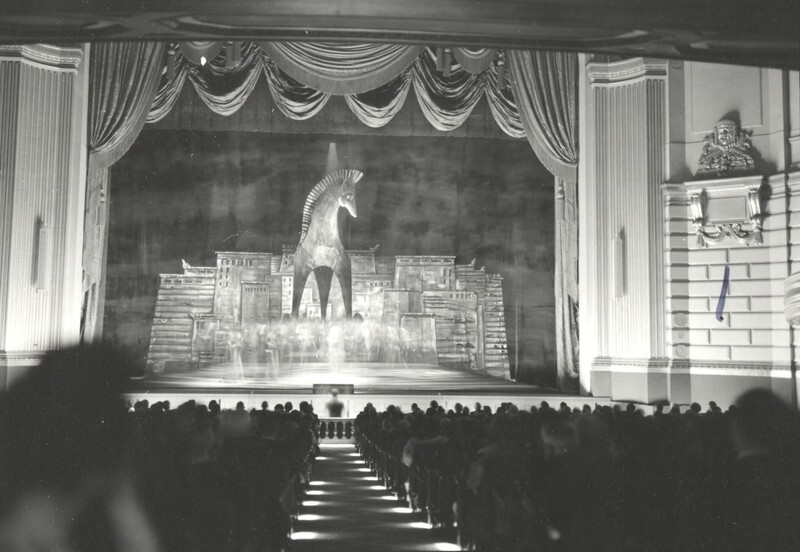 Do you have much freedom in interpretation of this opera and how the horse is used here in San Francisco? Daniel Knapp: It’s like your last cooking experience when you invite people over for dinner and you remember that, three years ago, you did this fantastic meal and you want to do the same meal again. Will do it exactly the same way? No—that’s exactly the same situation with a revival or co-production. We are not the conceivers, David McVicar or Ses Devlin, we are realizing their artistic vision. We had Leah Hausman, the co-director from London, here, who is a dance and movement director and coach, and other of McVicar’s associates here. We could never do this just ourselves because then it’s not in the original spirit. People in the house who were part of the original creation production do feel differently than people who have just joined a few years later and we needed them. 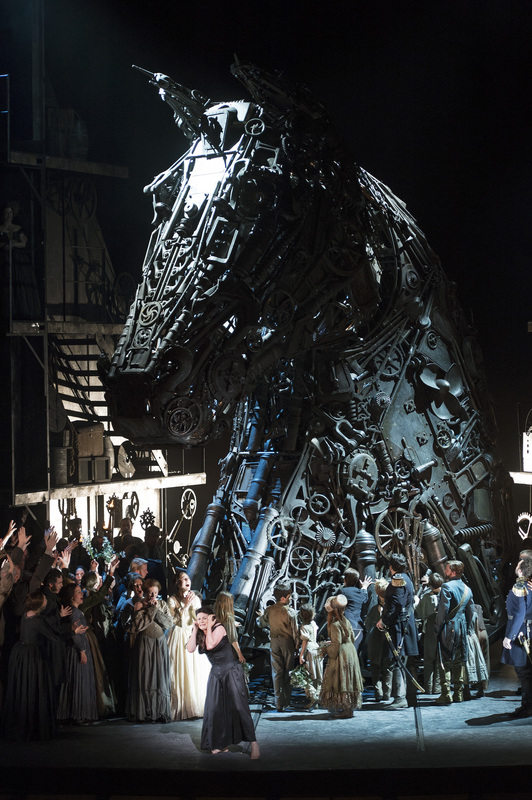 How appropriate is the War Memorial Opera House stage for a horse of this weight and magnitude? Isn’t SF much smaller than the Royal Opera House or La Scala? Daniel Knapp: It’s not only the horse but it’s also the enormous drum trucks which support Carthage and Troy. Carthage is an entire terracotta kingdom and you’ll be blown away by it, as much as by the horse. You’ve also got the chorus, the singers, dancers, acrobats—over 130 on stage. Stage wise, we are a little smaller but, auditorium wise, we are bigger than all the European houses. We compare ourselves to the size of Warsaw’s Teatr Wielki, which has the biggest modern stage (together with the Opéra Bastille in Paris) in Europe. Here in the US, you have this curiosum or wonderful paradox because sometimes there are stages like ours that originally did not have a backstage or a real up stage storage area but only a stage area. Actually, up until 45 years ago, all our sets were built right on stage. Our auditorium is huge compared to all the European houses. With 3,146 seats, we are bigger than all other houses but now our stage is smaller, so over the next 20 years there will probably be some developments. Any funny stories related to Patches so far? Daniel Knapp: Just people excited to have their picture taken with Patches. It’s like we are a part of Disney World here; even the staff is coming down to the stage to have their picture taken. What’s your favorite scene in Trojans? Daniel Knapp: It’s the whole opera, the whole thing, because once it’s done because it’s such a complex and huge show that I can’t focus on one thing but rather all the contributing moments. How are adjusting to your new position here? What are your responsibilities? Daniel Knapp: I’m adjusting great; it’s full of surprises in a good and interesting way. The whole scope of coming to a new country and a new working environment offers a multitude of perspectives. It’s been very welcoming so far and very intense, so it feels a lot more like I’ve been here a year and half rather than just a few months. I’m responsible for overseeing all the productions at SFO— all the scenic elements, costume shops, sound and technical departments and all the labor that’s involved, which is all the talent on the stage plus the electricians and all the support staff…so, it’s quite a scope. I’ve met a lot of people who have a certain sense of responsibility for this company, who identify with it and who have been here much longer than me. They’ve introduced me to the company culture and what necessary changes could be made and how we can achieve those as a team over the next 3, 5, 15, or however many, years to stay up with the world class opera companies. With “Troyens” up first, followed by the world premiere of “Two Women,” it’s kind of a trial by fire for you. What’s the most demanding part of your job right now? Daniel Knapp: I’m a little in both fire and water trials right now. I’m from a country that has plenty of drinking water and lakes on our doorstep and coming to Northern CA, and being in the middle of a drought, is also a big trial. To be able to make use of all the technology and intellectual capital that surrounds us here and to engage the techies is another exciting challenge for our opera company. With respect to the work load, at the Bregenzer Festival in Austria, I was always overseeing two productions; last summer it was three productions, one of which was The Magic Flute on the floating stage. I was also very involved with the pre-production of Turandot that will premiere on July 22. So that’s heavy experience with large-scale productions on the lake, in the open air, and it’s a bit of a different scale. We had many international co-productions as well with companies in Europe and the US, so I am quite used to doing multiple wedding dances at the same time. That was exciting but the requirements of a concentrated festival versus a company that is doing performances year-round are different. What I love here is that we have an interwoven schedule so that the three monumental productions— The Trojans, the world premiere of Two Woman and the revival of the classic, Figaro, in an adapted version, Figaro, will all be able to fit on stage. That was a lot to step into. How did you prepare for this opera? Did you do extensive reading or do you mainly execute and manage? Daniel Knapp: My learning process is the interaction with the artists, finding out what their real concerns are and looking behind the scenes. I’m not the guy who tries to be more prepared than the director and I don’t do the full research of the director or designers. However, when I have questions about why something is set-up a certain way and why something can’t be done, I get very involved. I always question creative teams about why they would want to emphasize something or not. I need to understand where they are coming from so that we can get the most from their art on stage. The great thing about my job is that, if I do it correctly, you don’t notice that I am there. What are you most looking forward to in the coming fall season? Details: There are three remaining performance of The Trojans—Saturday, June 20, 2105, 6PM; Thursday, June 25, 6PM and Wednesday, July 1, 6PM. Seats are selling fast—purchase tickets here or phone the Box Office at (415) 864-3330. War Memorial Opera House is located at 301 Van Ness Avenue, San Francisco. Every performance features supertitles (English translations) projected above the stage, visible from every seat. The June 25th and July 1st performance feature OperavVision, HD video projection screens in the Balcony level. For information about the SFO’s Summer 2015 Season, click here. Those of us who attended the final performance of San Francisco Opera’s new production of Carlise Floyd’s “Susannah” this afternoon were in for a treat. Right after extended rounds of applause for soprano Patricia Racette, who delivered a profound Susannah, and cheers for her wonderful supporting cast, a special ceremony took place awarding Racette with the San Francisco Opera Medal. The award was established in 1970 by former General Director Kurt Herbert Adler and is the highest honor the Company bestows in recognition of outstanding achievement by an artistic professional. How fitting it is that Racette, who celebrates 25 years and 32 roles with SFO this year, was given this award now. Her repertoire and success over the past year with the company has been so vast it is dizzying. She just sang the title role of “Susannah” to rave reviews. This summer, she sang Cio Cio San in the splendid “Madame Butterfly” and gave a stand-out performance as the cabaret singer, Julie La Verne, in Francesca Zambello’s opulent “Show Boat,” SFO’s other stand-out summer of 2014 hit. There, her delightful renditions of Jerome Kern’s ballads “Can’t Help Lovin’ Dat Man” and “Bill,”along with her wonderful acting, were central to the production. Last season, at the very last minute, she stepped up to assume the title role in Tobias Picker’s “Dolores Claiborne” while simultaneously singing the dual roles of Marguerite and Elena in Arrigo Boito’s “Mephistopheles.” That’s just the past year! Her career with the company is nothing short of remarkable. The New Hampshire-born soprano first joined SFO’s Merola Program where she debuted her now acclaimed portrayal of Puccini’s Cio-Cio-San. Later, as an Alder Fellow with the company, she covered Pilar Lorengar in “Falstaff.” Over the years, she has sung roles with the company as varied musically and dramatically as Luisa Miller and Jenůfa, Marguerite, and Dolores Claiborne. The artistry and fervor Racette brings to the stage is limitless, whether in vocal mastery, stylistic range, or emotional interpretation. 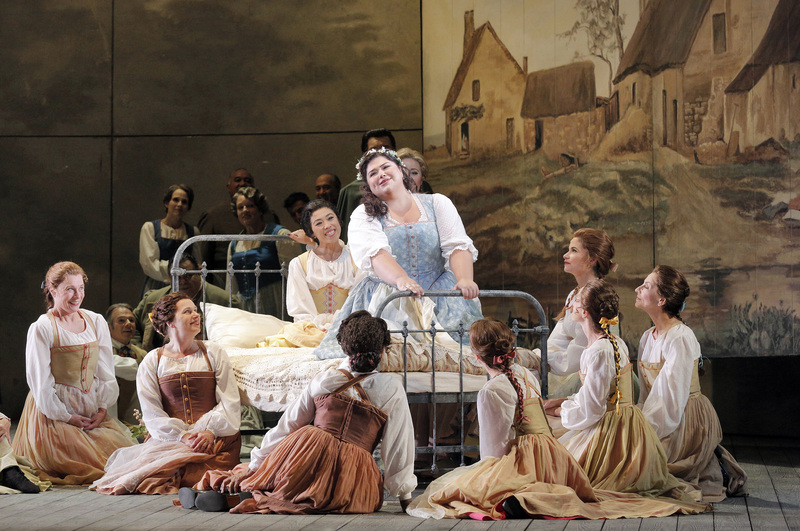 After “Susannah,” Racette is singing the title role in “Salome” at San Antonio Opera (Jan 2015); Marie Antionette in The Ghosts of Versailles at Los Angeles Opera (Feb-March 2015) and Nedda in “Pagliacci” (April-May 2015) at the Met. Racette, who is married to mezzo Beth Clayton, is also proud to call San Francisco home, and when she isn’t on tour, she loves walking with her poodle, Sappho, on the beach. 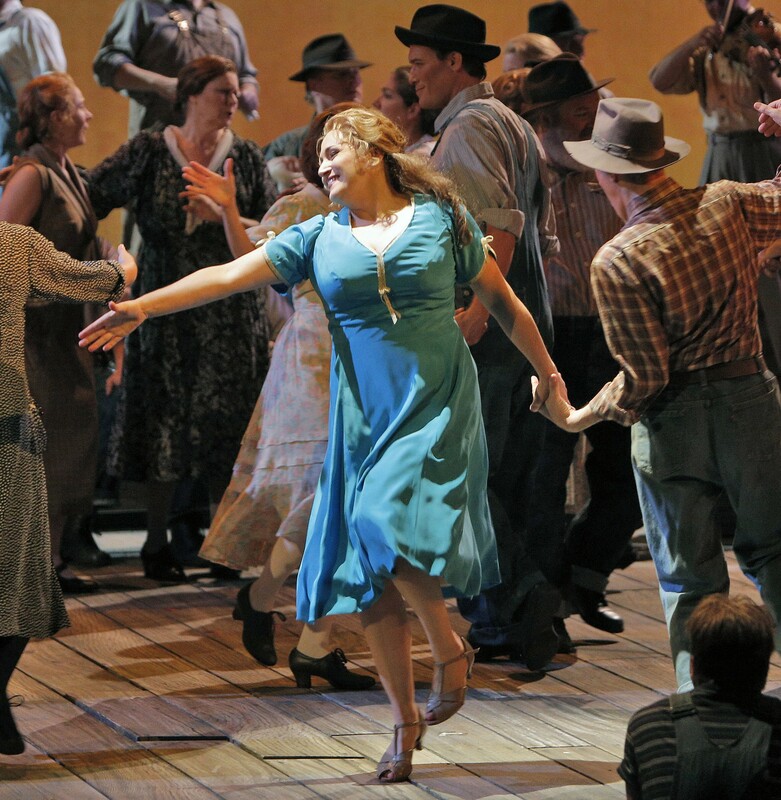 Patricia Racette (blue dress) as Susannah, square-dancing at a church social in backwoods Tennessee in a new San Francisco Opera production of Carlisle Floyd’s “Susannah.” edited Corey Weaver photo. The first SFO Medal laureate was soprano Dorothy Kirsten. While many vocalists (such as Leontyne Price in 1977, Joan Sutherland in 1984, Plácido Domingo in 1994, and Samuel Ramey (2003) have been so honored, other laureates have included stage director John Copley (2010), conductor Donald Runnicles (2009), chorus director Ian Robertson 2012 and scenic artist Jay Kotcher in 2013. Details: Verdi’s “A Masked Ball” opens Saturday, October 4, 2014 and there are 7 performances in the run. Seats are selling fast—purchase tickets here or phone the Box Office at (415) 864-3330. Handel’s “Partenope” opens Wednesday, October 15, 2014 with acclaimed Danielle de Niese in the title role and runs for 6 performances. Purchase tickets here. War Memorial Opera House is located at 301 Van Ness Avenue, San Francisco. Every performance features supertitles (English translations) projected above the stage, visible from every seat. Friday evening’s “Norma,” San Francisco Opera’s season opener, with soprano Sandra Radvanovsky as Norma, was an evening of firsts—my first time attending on SFO’s big gala night and my first live performance of Bellini’s “Norma.” And, I was lucky enough to score tickets in the 5th row, close enough to see without even my glasses, also a first. I had prepped most of the week with YouTube recordings of the great Normas—Maria Callas, Montserrat Caballé, Joan Sutherland—and was excited to see how Radvanovsky, rumored to stand in their lauded company, would measure up. Norma is a Druid high princess in Roman-occupied Gaul who has secretly been sleeping with the enemy— a Roman procounsel, Pollione, and has two illegitimate children as a result. Pollione has grown tired of Norma and now has his eyes set on Adalgisa, a young Druid priestess whom Norma regards as a friend. 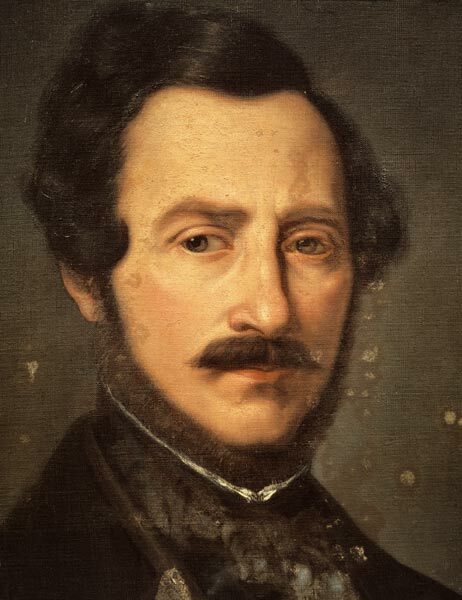 The opera is considered to be the gold-standard of early 19th century bel canto Italian opera. 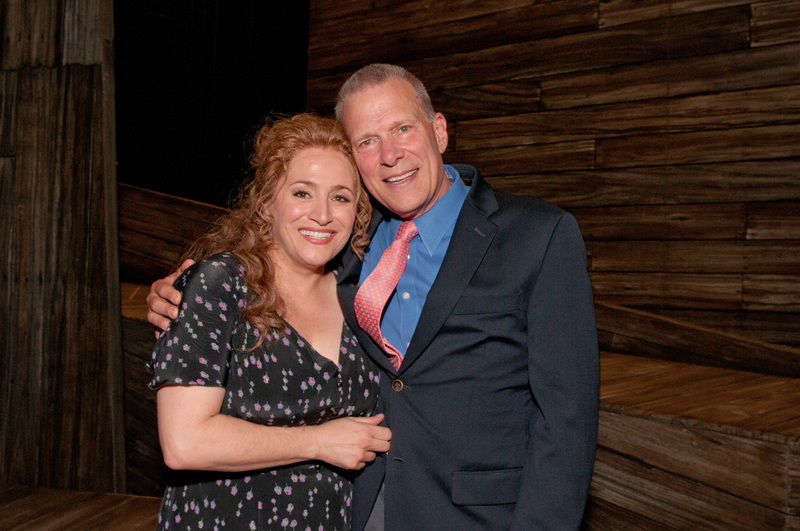 SFO’s new production is conceived and staged by Kevin Newbury, with sets by David Korins and costumes by Jessica Jahn. Newbury debuted at SFO in 2103 directing the world premiere flop, The Gospel of Mary Magdalene. (ARThound wrote about the gorgeous Michael Schwab poster that accompanied the opera.) Billed as being “rooted in the stone age with a contemporary slant,” the production is inspired by contemporary research on the archaeology and mythology of the Druid cultures of Roman-occupied ancient Gaul. With the SFO’s always effervescent Music Director, Nicola Luisotti, in the pit, the orchestra delivered a luminous performance with outstanding woodwind solos. They were equally enthusiastic over mezzo soprano Jamie Barton’s inspired Adalgisa. Barton, in her SFO debut, seemed completely at ease in the difficult role and her nimble voice was warm and alluring. Barton won the 2007 Metropolitan Opera National Council Auditions and has gone on to impress audiences ever since. She so believably conveyed the dramatic emotional twists that come with loving a man who is also her friend and superior’s lover that my eyes gravitated constantly to her, troubled pure soul that she was. We’ve all felt the tug of dangerous love and had to make difficult choices between loyalty and following your heart and they played out with compelling drama on Friday. 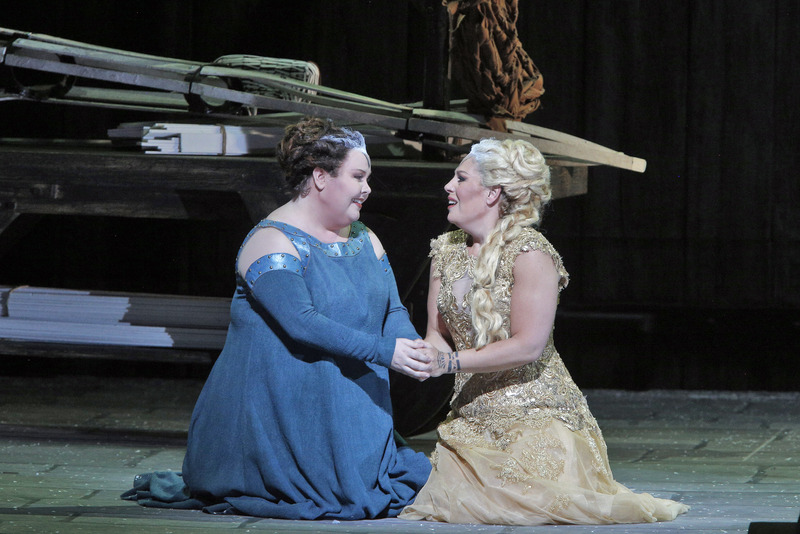 The shivers in this “Norma” were evoked by the girl power moments—by the lush lyricism of Radvanovsky and Barton’s voices blending in the duos—rather than by Norma’s solos of torment and passion. Italian tenor Marco Berti delivered a wonderful Pollione and bass-baritone Christian Van Horn sang Oroveso with a power that matched his height. We’ll be seeing a lot of Van Horn this season as he appears as Count Ribbing (“Un Ballo in Maschera”), Alidoro (“La Cenerentola”), Colline (“La Bohème”), and Narbal (“Les Troyens”). 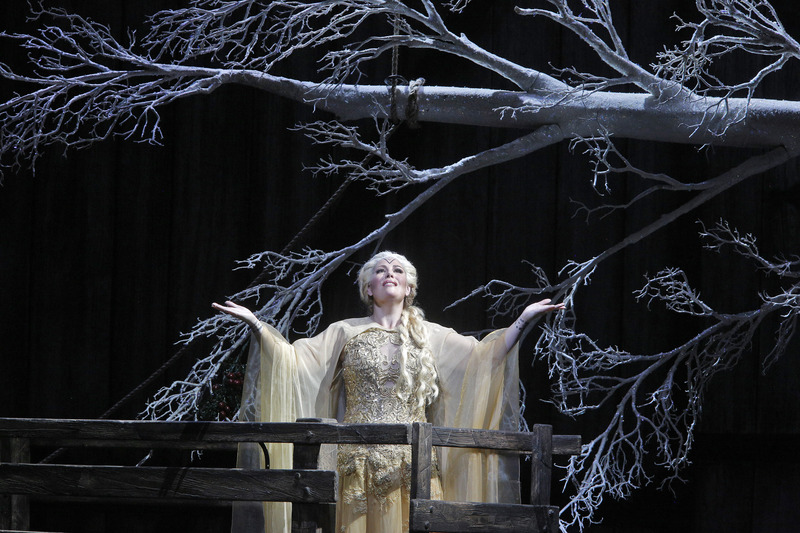 David Korins’ set design, which many found confounding, had a single silvery snow-covered tree trunk elegantly hovering from chains in front of an enormous gray wall as a representation of the Druid forest. Blustery snowfall was visible through the doors evoking a Druid winter wonderland. 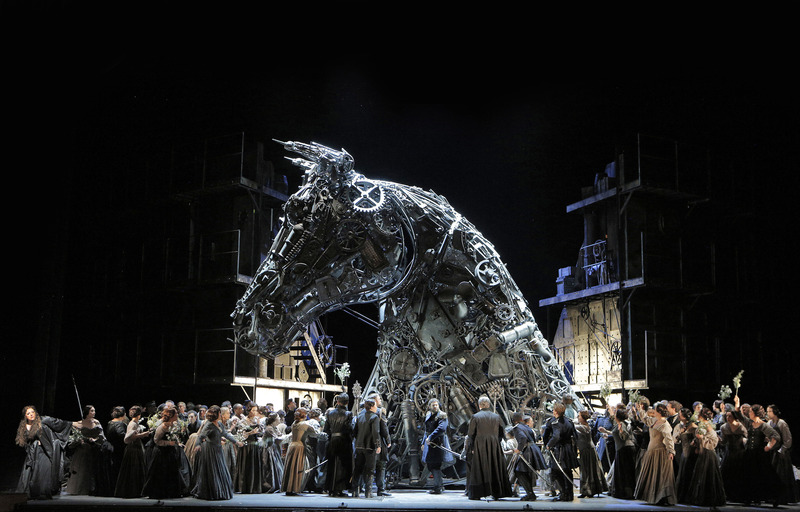 Towards the end of the opera, a giant Trojan horse-like creature slowly overtook the stage and its crescent-shaped horn descended from the sky until it landed in place on its head. The funeral pyre was a mere flash in the pan. Jessica Jahn’s costumes were unfathomable to me—they appeared to come from several different eras and, with the exception of Radvanovsky’s, were unflattering, uninteresting and unattractive. After the performance, drowsy couples exited the opera house raving about losing themselves in the music and comparing the great divas who have defined Norma. There was a warm buzz about Jamie Barton. SFO’s 92nd season was off to a brilliant start. Details: There are six remaining performances of “Norma”—Wednesday, Sept 10 at 7:30 PM, Sun, Sept 14 at 2 PM, Friday, Sept 19 at 7:30 PM, Tuesday, Sept 23 at 7:30 PM, Saturday, Sept 27 at 7:30 PM and Tuesday, Sept 30 at 7:30 PM Seats are selling fast—purchase tickets for performance here or phone the Box Office at (415) 864-3330. War Memorial Opera House is located at 301 Van Ness Avenue, San Francisco. Every performance features supertitles (English translations) projected above the stage, visible from every seat.